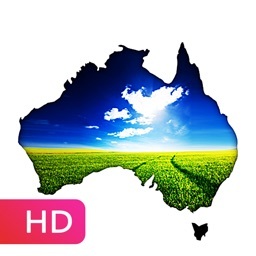 WeatherAlert: AUS Radar by Mende App Inc. Introducing Deep Learning for radar predictions and rain approaching alerts. 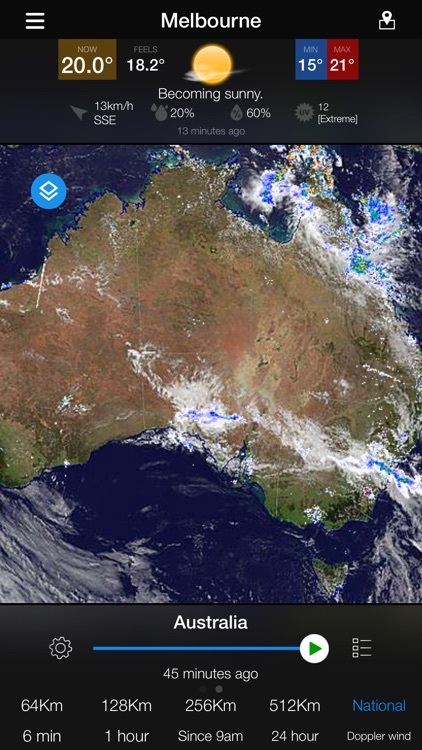 Get Australian Bureau of Meteorology (BOM) rain radar, weather, interactive maps, weather maps and alerts. All this from one beautiful designed, easy to use app and FREE. 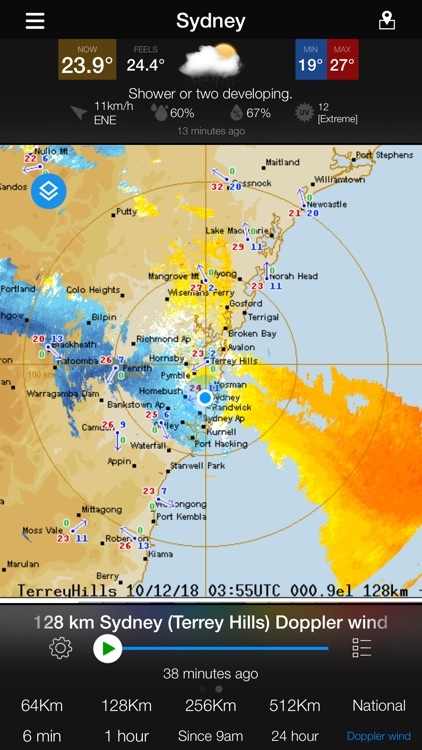 The only app to provide historical radar maps for up to 4 hours. 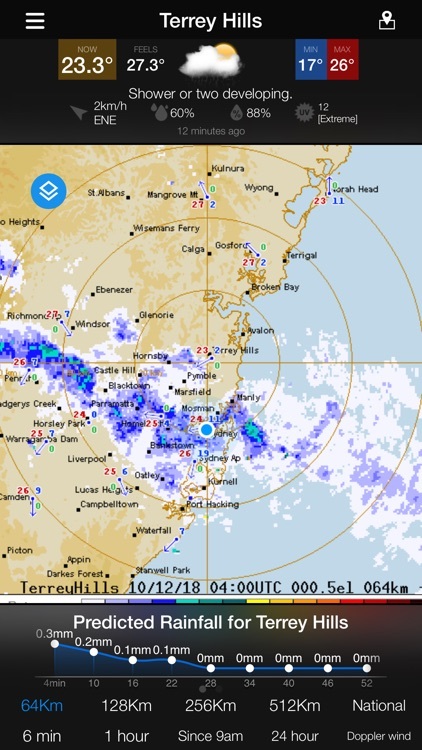 Powerful tool to view the path of incoming rain. Early push notifications to inform you of possible rain approaching and weather hazards like heavy rain, storms, frost and fog. 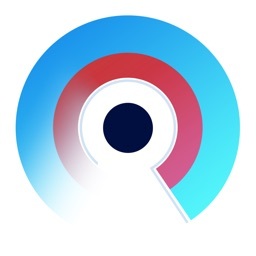 Includes weather widget that provides weather information on your Today screen (for iOS 8+ only). For easy access to the weather. 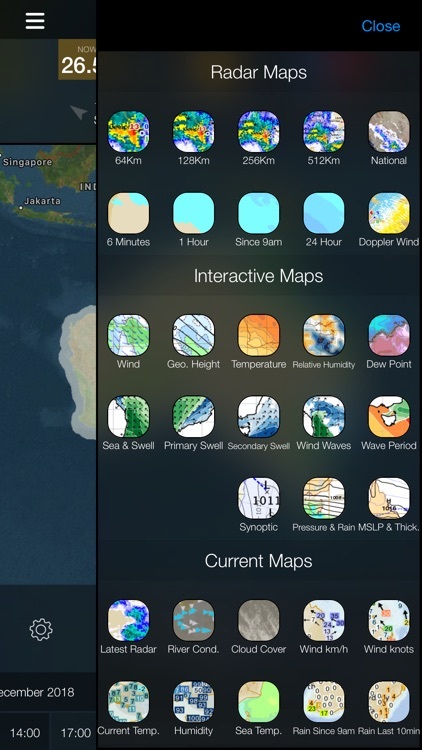 This app is packed with visual weather maps exclusive only to this app. 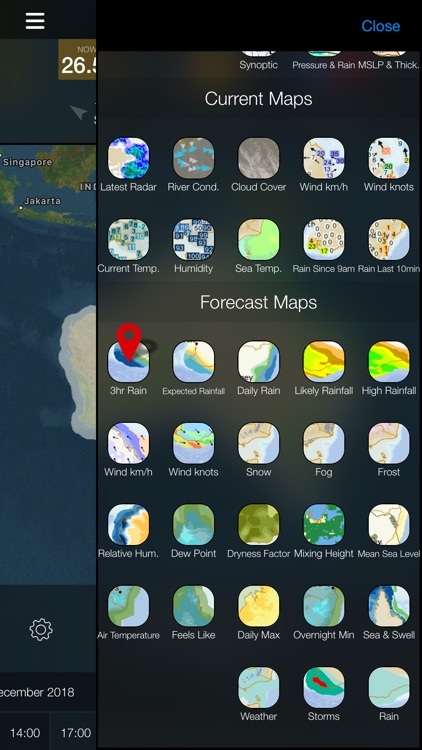 What features are exclusive to WeatherAlert App? 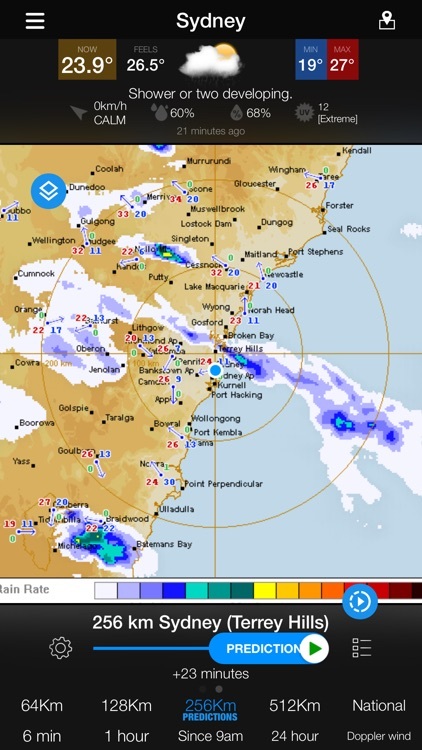 - Cutting edge radar predictions for 256Km. See rain coming before it arrives. - Rain predictions chart for rainfall next hour. - New weather pane to see the weather information. Slide with your finger to view 7 day weather forecast. Tap the day for a large easy to read detailed weather description. - New Maps pane that includes all the maps. This is a much easier way navigating to the maps you want. - New Menu pane to load your locations, for much easier radar and weather viewing. - Radar pane now has a new sub-pane to view the available radar options. - Pop-up message to select the radar, also added for easier access to the radar. 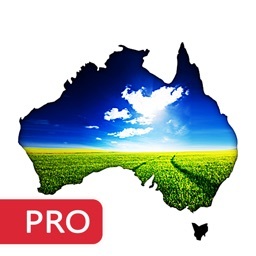 - Exclusive Location finder which uses your current GPS location to get nearest weather information automatically. 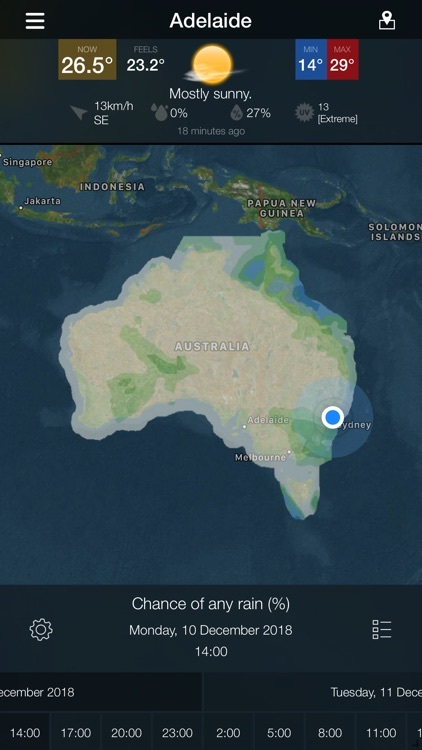 Location services will need to be enabled for the app. - Exclusive significant weather alert notification pushed to your device. 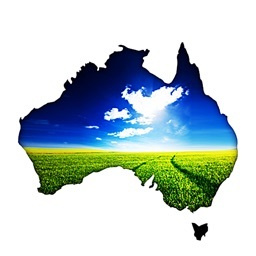 - Exclusive Interactive Maps that weather patterns for Australia. 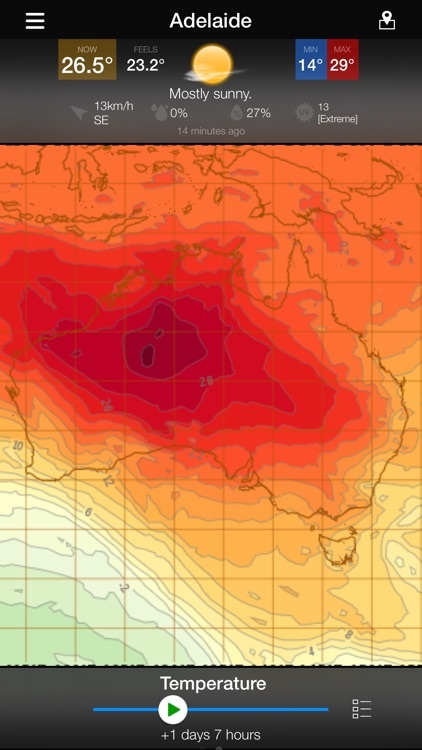 Use this for a visual representation of the weeks forecast. 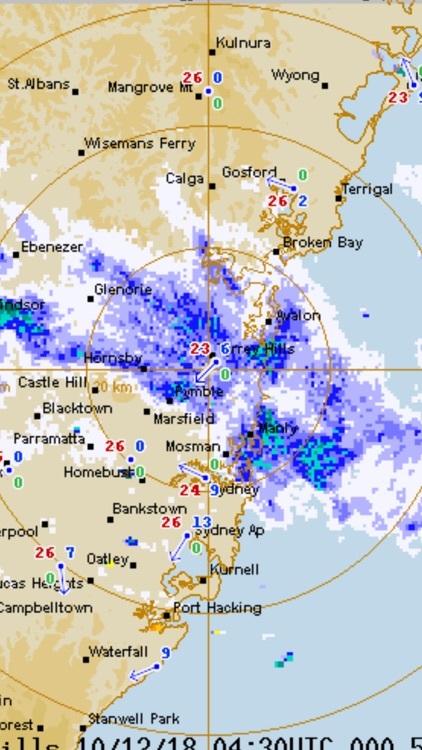 - Radar rainfall over certain areas for the last 6 minutes, 1 hour, 24 hours and rainfall since 9am. - Use the Doppler Effect radar to view direction and speed of wind. 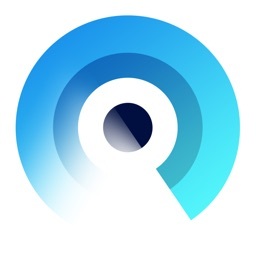 - App supports Portrait and Landscape viewing. - Current temperature, rainfall, wind, humidity and lots more current weather map information. 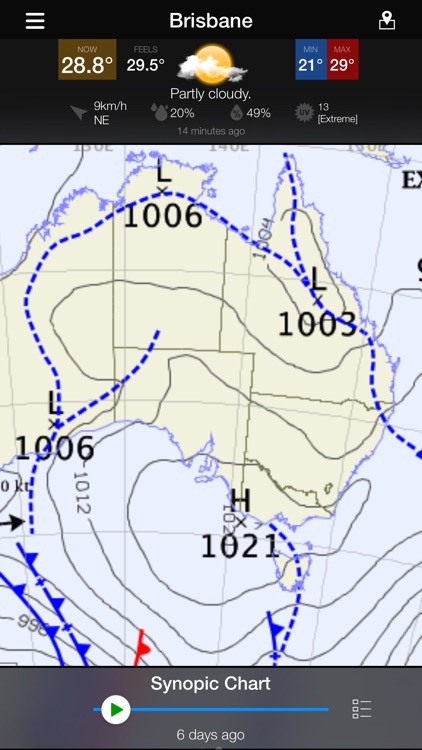 - Storms, Snow, Fog, Frost and Rain Forecasts. WeatherAlert App is designed with an intuitive interface and fully equipped with all the weather information you need in your pocket. - This service is a prediction system and should not be used part of any critical decision making.